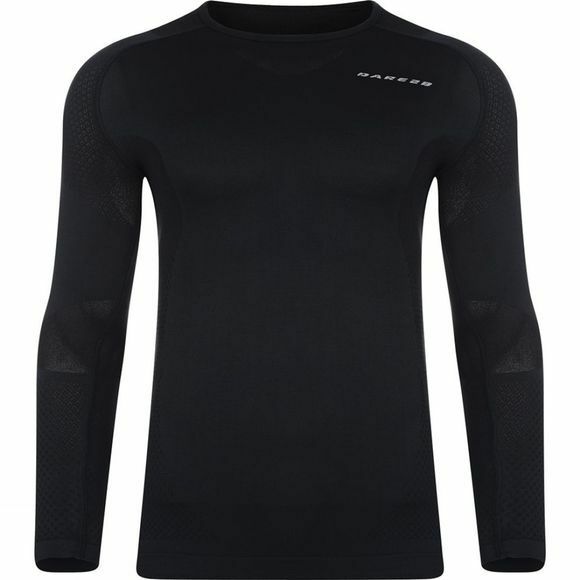 The Men's Zonal III Long Sleeve Base Layer Top from Dare 2b is packed with comfort and performance for year-round use. It uses ergonomic body mapping with seamless construction and a hint of elastane for total comfort in wear. The Body fabric helps to regulate your core temperature by keeping you cool when your sweating and warm when your cold. It rapidly transfers moisture away from the skin, dries quickly when wet and has an anti-bacterial finish for lasting freshness.